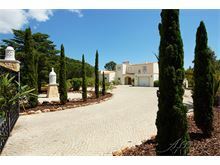 This villa is situated in a substantial plot offering total privacy and a countryside feeling yet is just a short drive from the centre of Carvoeiro with its abundance of bars and restaurants. Benagil beach is also just a very short drive away. 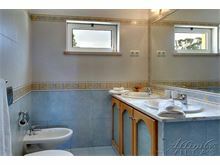 The villa is set back from the road behind electric gates and the interior is spacious and very comfortably furnished. With two separate lounge areas and 4 en-suite bedrooms Farol a Vista offers plenty of space for larger parties, all tastefully furnished with high quality fixtures and fittings. Approximately 2kms from the beach with a few local restaurants close by, 2.5kms to a small supermarket, 3kms from Carvoeiro centre. Entrance hall with arch to L-shaped living/dining room with ceiling fans, wall mounted LCD TV, DVD and sound dock with USB connection. 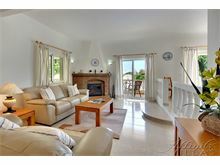 French windows opening out to a covered terrace overlooking the pool and sea in the distance. 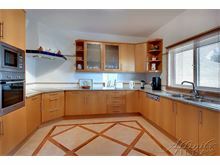 Well equipped kitchen with dishwasher and microwave. Guest cloakroom. 1 air conditioned twin bedroom with doors to a terrace and shower room en suite, 1 air conditioned twin bedroom with doors to a terrace and bathroom en suite with walk in shower. Up marble stairs to 1 air conditioned twin bedroom with shower room en suite, air conditioned master suite with full bathroom en suite with Jacuzzi bath and walk in shower. Maid service 5 times per week. Air conditioning included. Pool heating is available at extra cost, if required. This is a stunning villa in a pleasant location, the villa is extremely comfortable with good size rooms which are perfect for a family holiday. 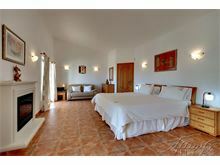 The villa and gardens are excellently maintained and I look forward to staying at Farol a Vista again. This was the second time that we have visited this villa. Once again we were not disappointed and had a very enjoyable holiday with friends in a villa that is well equipped with an excellent swimming pool and located in a region of Carvoeiro providing easy access to some very good restaurants. As before we found the maid service to be brilliant. 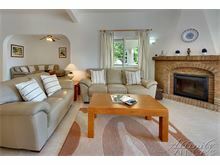 For anyone seeking a relaxed comfortable holiday in private surroundings this villa is highly recommended. In addition, the exceptional service provided by the staff at Affinity Villas, who we have used now for a number of years, adds to the overall satisfaction and enjoyment of the holiday. Very good holiday again (4th time). 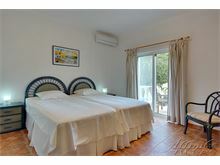 Our week stay at the villa was excellent, the villa was very well equipped, clean and spacious. Great pool, we paid extra for it to be heated (recommended). Good location and a sea view from the balcony. Overall a great holiday for our group of eight, would definitely recommend this villa! This amazingly spacious villa has everything. It really was a home from home. 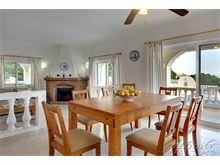 Fantastic kitchen facilities and equipment, to showroom en suites and gorgeous pool. 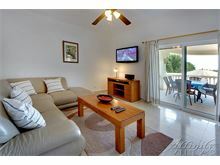 Lots of different areas to sit and relax from balconies and verandas to pool side and comfortable sofas. The maid was amazing and nothing is too much trouble. Our mixed group included teenagers and the pool and WiFi were well used. 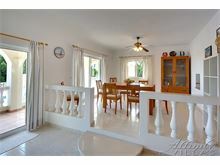 This villa has it all - good restaurants locally and the guest book has lots of good local tips. We would recommend this for any family and suitable for all ages. 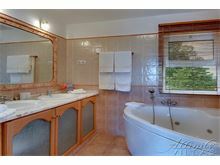 Luxury villa with top class facilities, including an excellent pool. 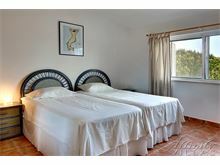 Great location just outside Carvoeiro. We stayed at this villa 2 years ago, having stated at many Algarve villas before - there is no point going anywhere else now, this is quite simply perfect. Maid service was excellent, very clean and well equipped villa. Great villa. We had a family group of eight. 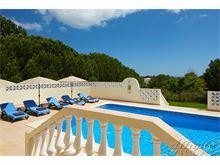 This is our third trip and villa in Carvoeiro as it suits our requirements of getting all our family together once a year. Carvoeiro is a perfect town for this purpose. 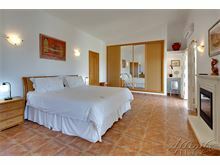 Villa has more than adequate space and pool and other facilities are perfect. 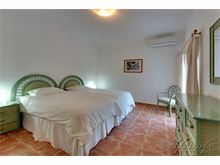 Main bedroom is very spacious and great for parents to get away for a breather during the day. Distance from town is great for exercising - jogging or walking. 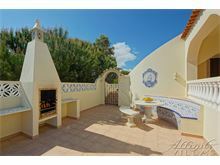 I would recommend both Carvoeiro and Affinity Villas as they have always delivered for us. Excellent villa , quality furnishings, fabulous heated pool meant we could use the pool 2-3 times a day in October, including a 3 month old baby! The maid service was brilliant, and we had a very relaxing holiday, even with 3 small children. We had a wonderful holiday at Farol a Vista Just outside Carvoeiro. Our villa was so clean and comfortable. When we arrived we automatically upgraded because the area where we chosen to stay there was building work going on so Affinity solved the problem before we had one, to me that's really good practice. Id book every day of the week and twice on Sunday with affinity villas. Well done. We will certainly be back thank you once again. 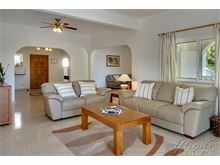 Farol A Vista is an excellent large four bedroom villa set in private grounds. At the rear large pine trees are situated on both sides of the rear garden giving the impression of a valley flowing down towards the sea in the distance. 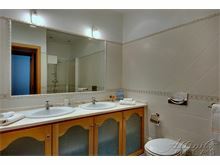 This villa, although described accurately on the Affinity website, is actually better than described. All of the facilities were first class including the excellent service provided by the maid Anna. The pool is first class. 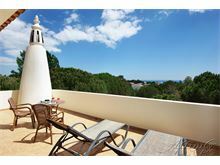 This was the sixth time that we have used Affinity, previously using a different villa in the same area which was not available this year - Farol A Vista did not disappoint and is highly recommended to provide a comfortable relaxing holiday. 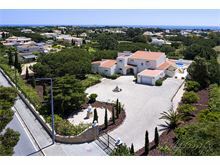 Fabulous villa for our family - we were 6 adults and 4 children (2 of them babies) we all agreed it would be perfect for our friends too so looking to get a group together for next year !!! Huge grounds which the 4 years olds loved exploring !! Love this villa, it feels like home now we have been 3 or 4 times. Amazing villa one of our favourites, so many happy memories never want to leave!